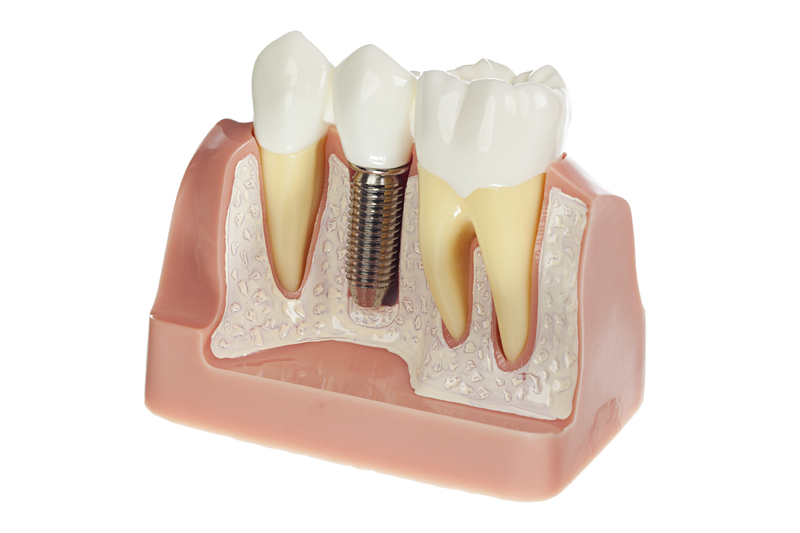 By offering dental implants in South Birmingham, Drs. Kim and Rob Harradine are able to provide patients with renewed confidence. If you have missing teeth and are looking for lasting, comfortable treatment, dental implants support stable prosthetics. With our help, chewing, talking, and laughing will no longer present a challenge for you. Our implant services allow patients to live life to their fullest, without uncomfortable dentures. Get started today by scheduling your implant consultation at Complete Dental Care PC! Implants are unique among available options for replacing missing teeth, as they do not negatively impact surrounding teeth or tissue. Compare this treatment to removable dentures, where soft tissue and underlying bone diminish over time, and traditional bridges, where otherwise healthy neighboring teeth need to be capped. At Complete Dental Care PC, Drs. Harradine provide implant treatment to support healthy, strong, and beautiful smiles. If you’re missing just one tooth, we can provide you with a natural-looking dental crown affixed to a sturdy implant post. For patients who have rows of missing teeth, attaching a bridge to dental implants allows for functional and aesthetic restorations, while making sure that other parts of your smile aren’t unnecessarily treated. Preparation - Patients who are ideal candidates for implants have missing teeth, but are otherwise healthy. Those who have problems related to bone depletion or gum disease will need pretreatment to create the right environment for care. When tissues are healthy, implants are able integrate and stabilize successfully. Implant Placement - Dr. Rob Harradine places full sized dental implants according to your needs. This includes multiple implant placement in a single visit to eventually support a dental bridge or full-arch prosthetic. Restoration with Implant-Supported Teeth - Once Dr. Rob has determined that your smile has healed and you are ready for the next phase of care, Dr. Kim Harradine ensures best aesthetic results by providing life-like dental prosthetics. Our prosthodontist and cosmetic dentist work together to provide tooth-colored, aesthetic, and strong implant restorations. We’re here to make help your implant treatment meet your expectations. Over the healing process, Dr. Rob welcomes patients into his office to evaluate healing and ensure they’re on the right track. We know you’ll love your new implant-supported teeth, whether you’re an unhappy denture wearer or are looking for modern, effective solutions to single and multiple tooth loss. Ask our Southside Birmingham implant dentists how they can help you! Schedule your consultation today!